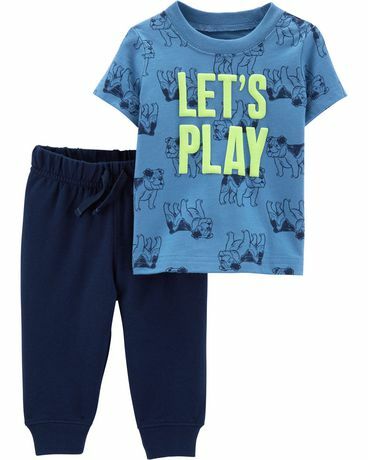 This Child Of Mine Toddler 2pc Set is the perfect outfit for any little one. Let us do the work for you and match the perfect top with a coordinating bottom. This cute top paired with an easy pull on pant are as sweet as can be. Perfect for how little one's play!